Looking for movie tickets? 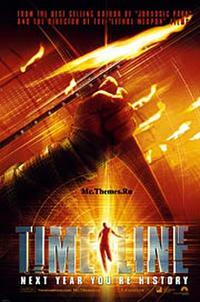 Enter your location to see which movie theaters are playing Timeline - Open Captioned near you. Time travel becomes possible in the near future. A Yale history professor (Billy Connolly) travels back to France in 1357, but is unable to return. Three of his students decide to rescue him, but once there, all of them become embroiled in the dangerous action, politics and maladies of the era.